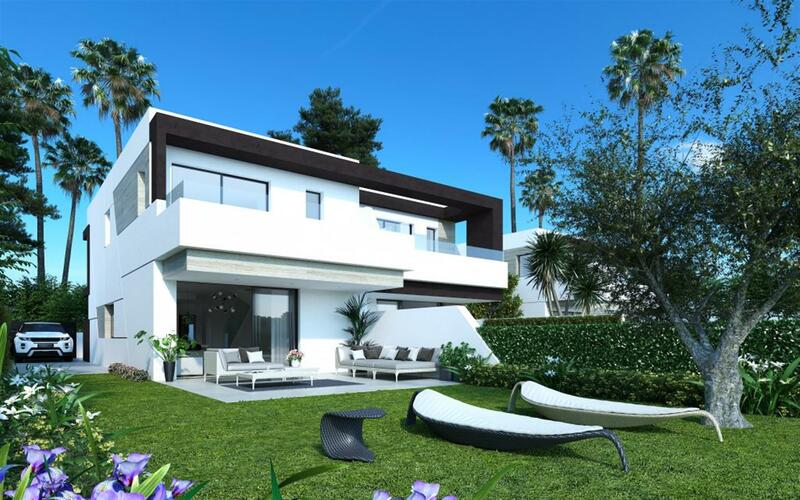 Green Golf is a new residential development of just 48 townhouses built over 2 storeys in a private residential complex, located in Estepona Golf, at the heart of the Costa del Sol. The houses with 3 bedroom have 220m2 of building surface distributed in 3 levels: parking with private basement for storage. First floor is distributed with an open plan concept kitchen, living and dining room, a guest toilet and a large terrace. 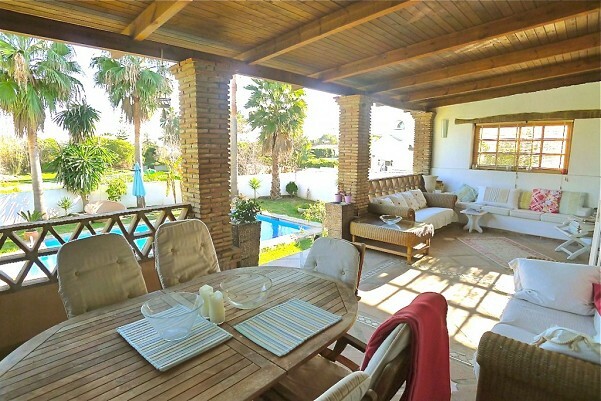 3 bedrooms on second floor with fitted wardrobes and two bathrooms, one of them en-suite. 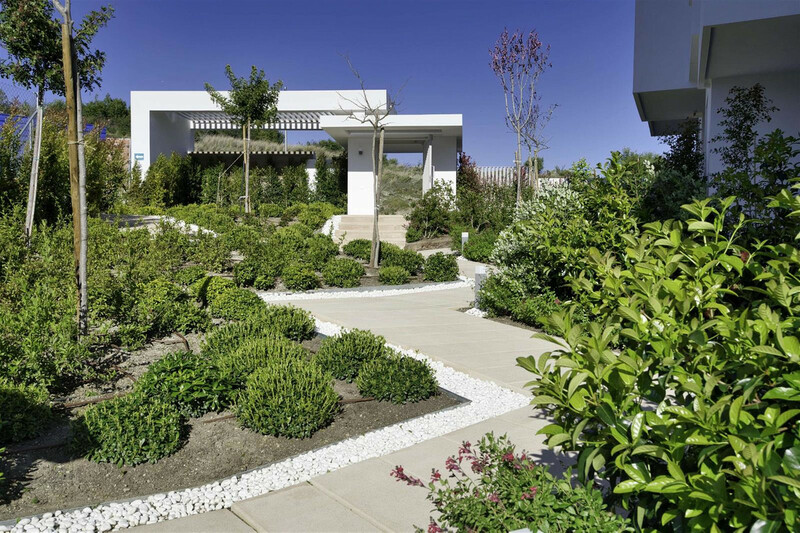 Gated and private urbanization with swimming pool and garden areas, designed with a contemporary style. A great opportunity to buy a townhouse off plan at an unbeatable price. 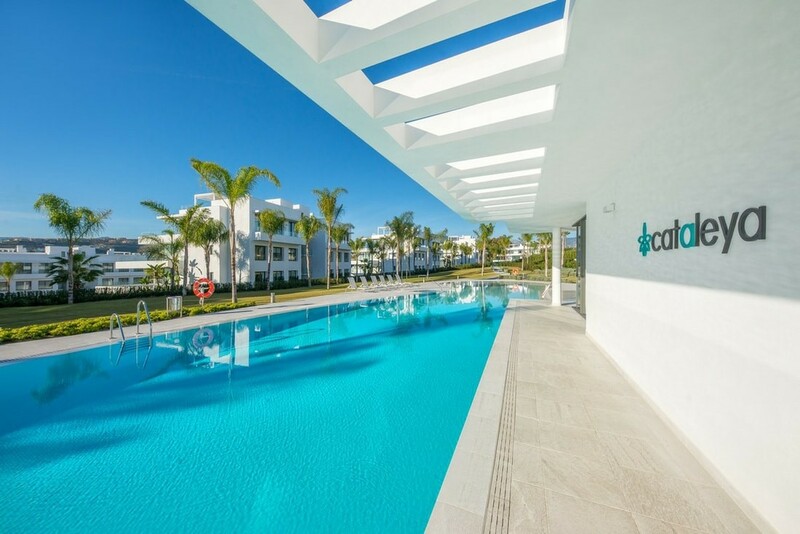 A privileged location close to wonderful beaches such as Bahia Dorada, or marinas including Estepona, Duquesa, Sotogrande or Puerto Banus, equidistant from the international airports of Gibraltar and Malaga, and with a variety of restaurants and leisure activities on offer in the area. All this in the peaceful and relaxing surroundings of Estepona Golf with fabulous mountain and sea views; including the famously difficult, yet beautiful, 14th Hole with Sierra Bermeja in the background and spectacular panoramic views surrounded by nature.